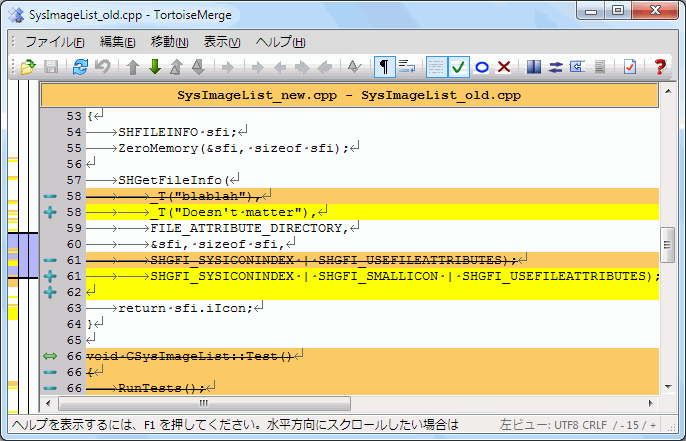 Subversion 1.7 introduced the svn patch command which allows to apply a patch file to a working copy. 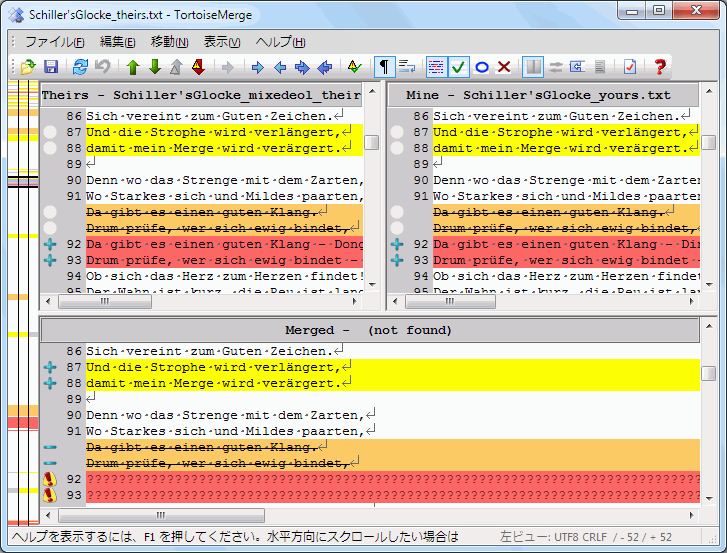 TortoiseMerge uses now the same functions as the Subversion command to avoid different behaviors between the two. Applying patch files and reviewing them.  Below the bottom window is the status bar. 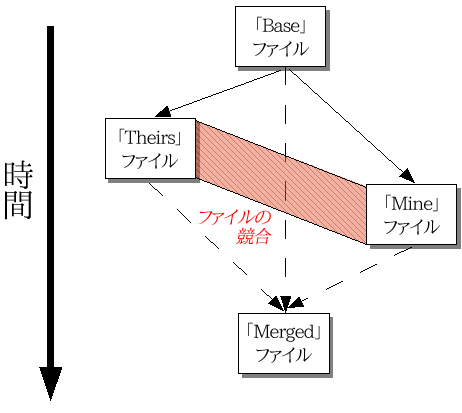 This shows the number of lines added and deleted in Theirs and Mine, and the number of unresolved conflicts remaining. 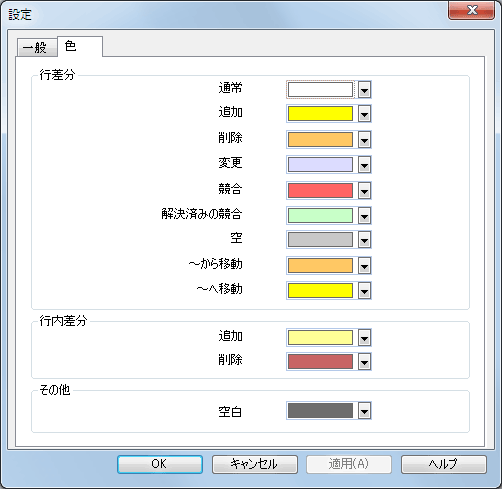 The encoding specifies how the characters in the views are loaded/saved and shown. The most common encoding in English is ASCII (which means the local encoding of the OS language), but you can change this to be UTF8, UTF16LE, UTF16BE, UTF32LE and UTF32BE, both with or without a byte order mark (BOM). The most common line endings on Windows is CRLF, but you can change the line endings to whatever you like. Note that if you change the line endings, then all line endings in the whole file will change, even if when loaded the line endings were not all the same. The option at the top of the combo box menu indicates whether tabs or spaces are inserted when you press the tab key. The smart tab char option if enabled uses an algorithm to determine whether one or the other is best used. 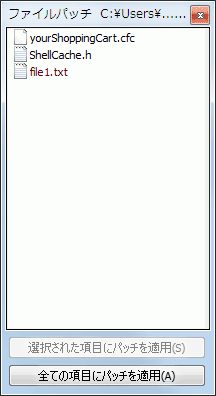 The tab size specifies how many space chars are inserted when editing and pressing the tab char, or how many chars the next word is indented when a tab char is encountered. /basereflectedname The name to use for editorconfig templates. /theirsreflectedname The name to use for editorconfig templates. /minereflectedname The name to use for editorconfig templates. /mergedreflectedname The name to use for editorconfig templates. 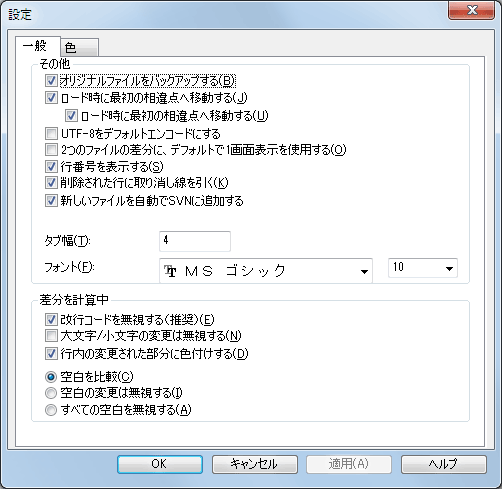 /saverequired If specified, forces TortoiseMerge to ask to save the file before exiting, even if the user does not modify the files. 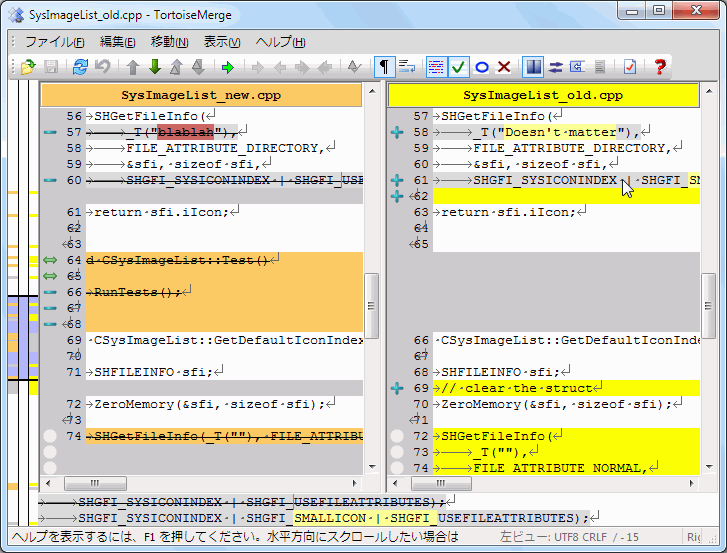 /saverequiredonconflicts If specified, forces TortoiseMerge to ask to save the file before exiting if there are conflicts found, even if the user does not modify the files.